A complete HD upgrade of King County's government channel. 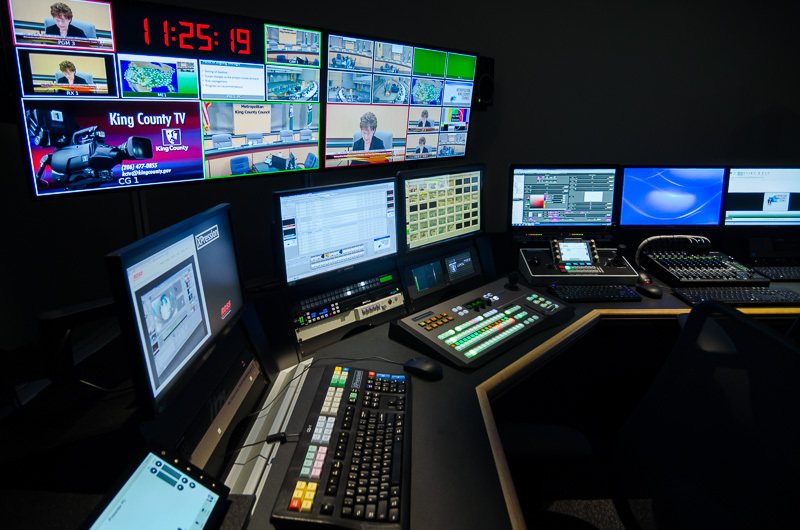 Utter Associates has recently completed a HD upgrade for King County Television in Seattle, Wa. 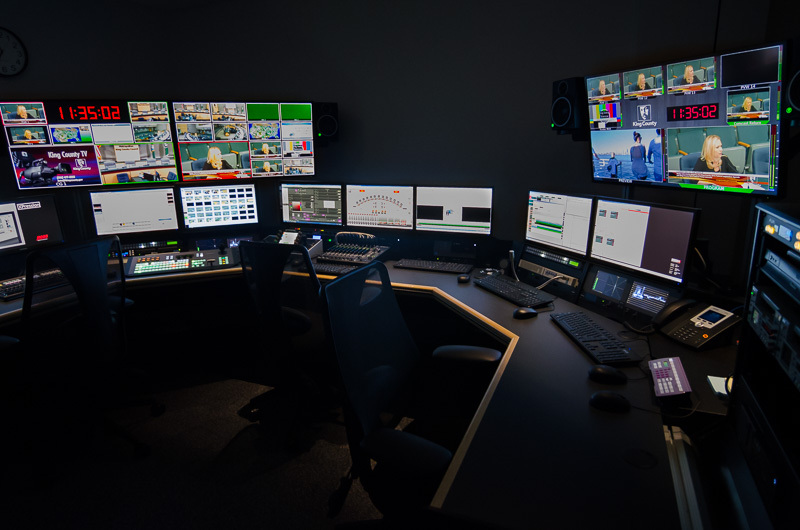 This project presented multiple challenges typical to a broadcaster such as minimal downtime, scheduling around regular programming, logistics and access difficulties. Faced with an extremely compressed time-line, Utter Associates applied project management techniques that met every goal. 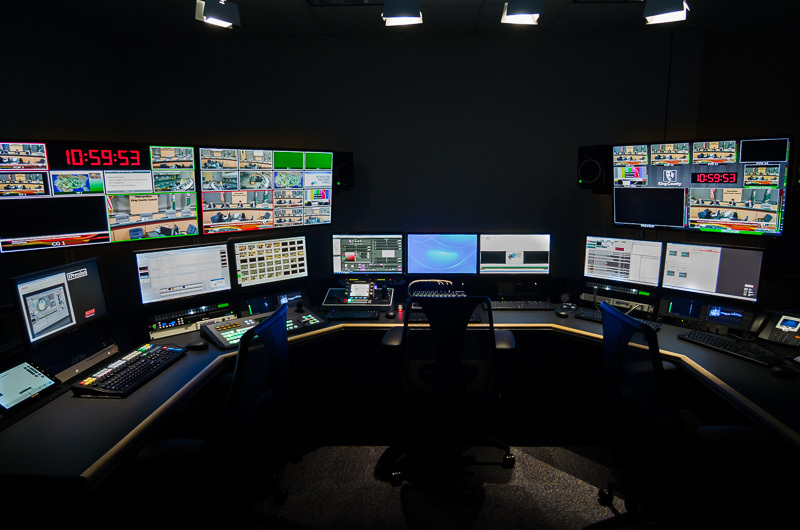 The upgrade moved King County TV from technology that was over 15 years old into modern file-based work-flows. Multi-viewers with probing and automated alarms. Council chambers AV automation - Touch-screen controls. 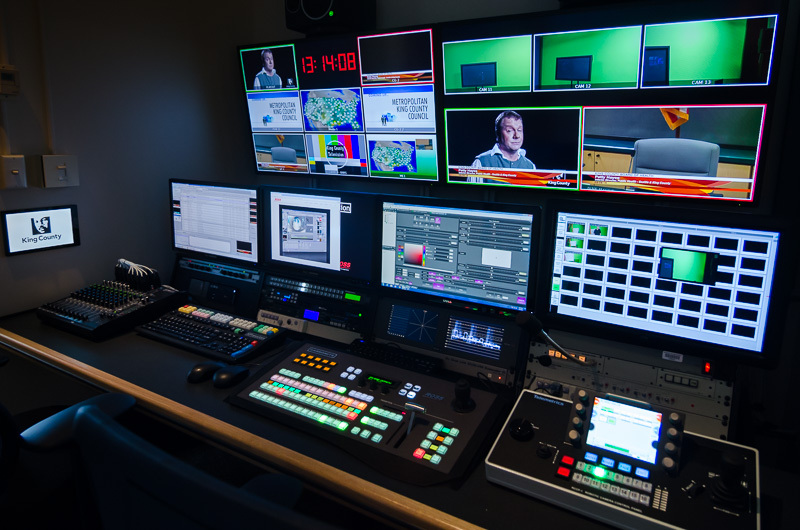 Core video system - Routing, patching, networking, servers, ingest/play-out and processing.